02: How much is this? 03: Will you go to Siam Square? 04: I'll have chicken and fried rice. 05: Is there a post office around here? 06: Could I speak to ..., please? 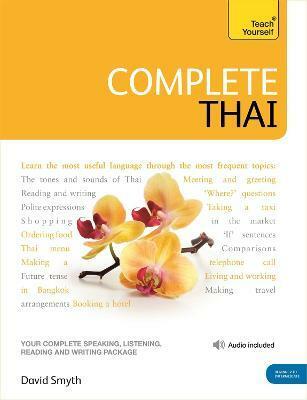 07: You speak Thai well. 08: Do you have any brothers and sisters? 09: Can you eat spicy food? 11: Do you like living in Bangkok? 12: What time does the coach leave? 13: Do you have any free rooms? 14: I want to live in a house where there is a garden. David Smyth spent many years teaching at universities in Thailand before taking up his current post as Senior Lecturer in Thai at the School of Oriental and African Studies (SOAS) at the University of London.